While away an afternoon in Hyde Park with afternoon tea at the Orangery at Kensington Palace. 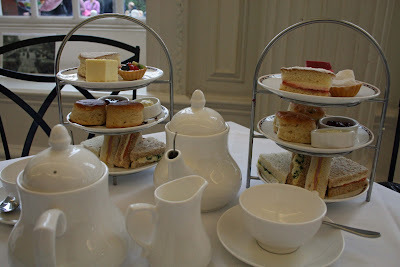 This weekend I've been indulging in my favourtie pastime...afternoon tea! 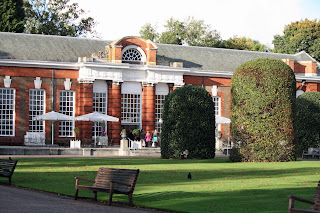 It was something a bit different this time though...instead of visiting one of the big hotels in London we went to the more informal Orangery at Kensington Palace. 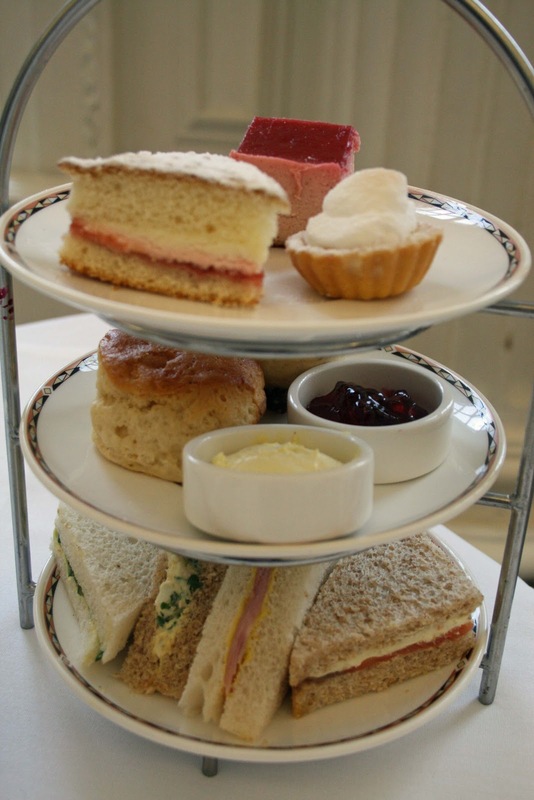 We ordered the 'English Orangery Afternoon Tea' which includes a round of sandwiches, two scones (one sultana and one orange scented) and an assortment of pastries and tartlets. This is a very traditional tea and whilst everything is light and tasty it doesn't have the wow factor of some other afternoon teas. However, sometimes the cakes you are served at some venues can be over-engineered to look good and they forget the most important bit...the taste! The cakes at the Orangery do what they say on the tin...they're tasty and traditional as this is a quintessentially English location! 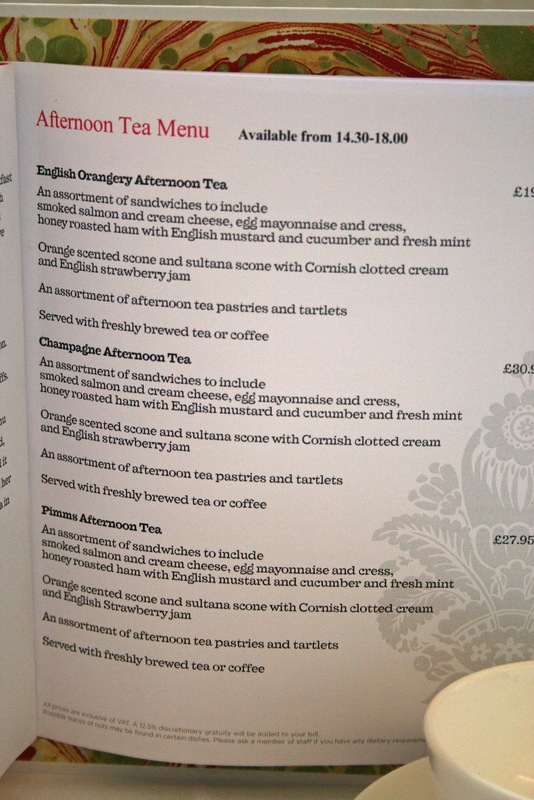 It's also half the price of some other fancy London teas at £19.95. Claridges and the like can now charge upwards of £50 for afternoon tea as the concept grows in popularity. The good thing about afternoon tea at the Orangery is that you don't have to book...and you can also wear your jeans...no need to dress up here. Some of the big names in afternoon tea are booked up months in advance but if you decide you'd like to indulge on a whim then this is the place for you. 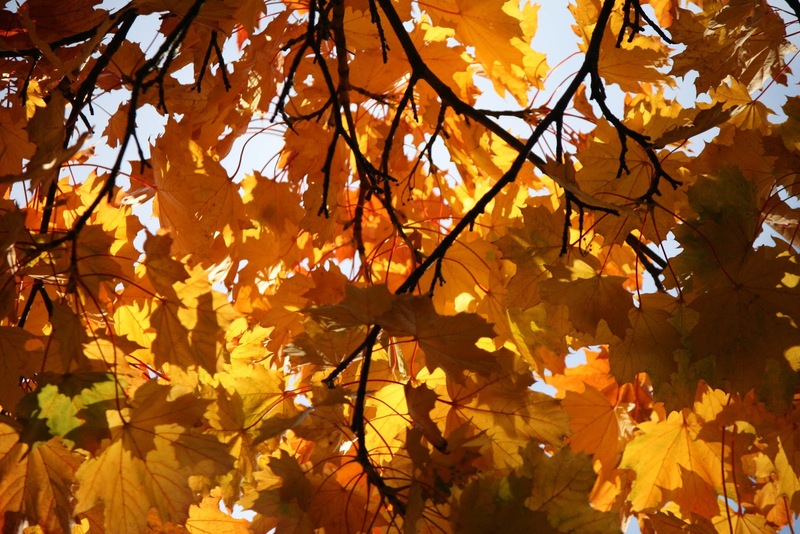 However, if you are planning a visit make sure you arrive early. Service starts at 2.30pm and there was already a queue when we arrived at 2.45pm. We were seated within 15 minutes but as we enjoyed our tea we watched the queue get longer and longer...so my advice the earlier the better! 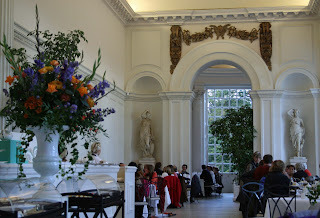 The mark of any good tea is the scones and the Orangery scones were certainly tasty! 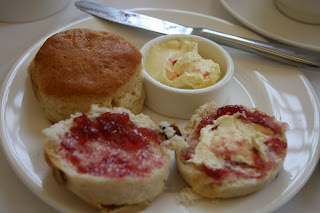 But what about the great scone debate...jam or cream first on your scones? Which way round do you prefer? Apparently in Cornwall it's jam first and then cream...and in Devon it's cream first and then jam. Personally, I'm a fan of the Cornish way and it seems 57% of Guardian readers agree. Generally, I also can't see the point in a scone without sultanas! So if I've convinced you to give the afternoon tea a go, why not combine your tea and scones with a visit to Kensington Palace. 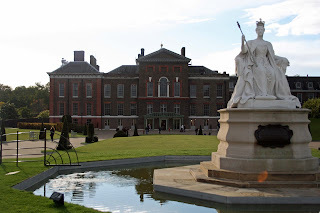 Kensington Palace has recently undergone a £12 million facelift and was recently reopened to visitors. Whilst there you can visit the King's State Apartments, the Queen's State Apartments, the sunken gardens and special exhibitions about the lives of Queen Victoria and Princess Diana. Kensington Palace is open 10am to 6pm and entrance is £14.50 but children go free! Well worth a visit. 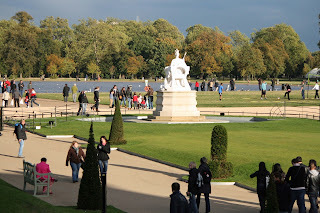 To get there you can catch the Central line tube to Queensway and then it's only a short 5 minute walk if you turn right out of the station and into Hyde Park. 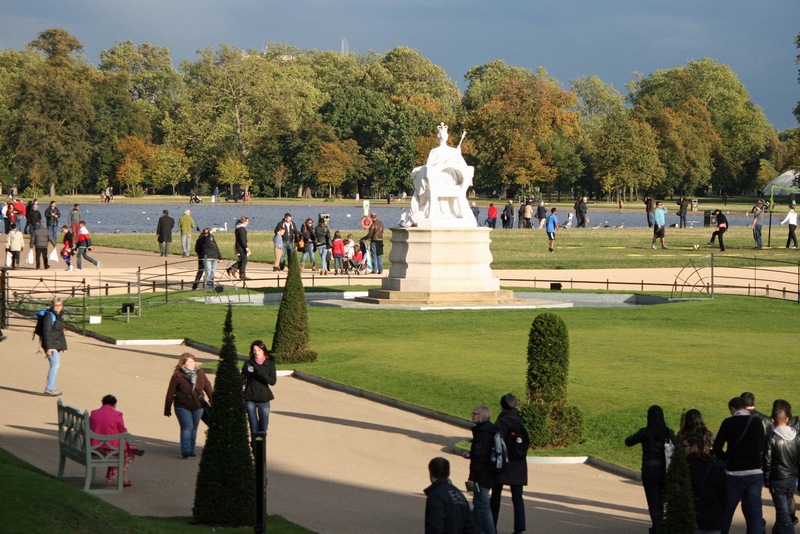 And if that little lot isn't enough to lure you...there's also Hyde Park to enjoy! 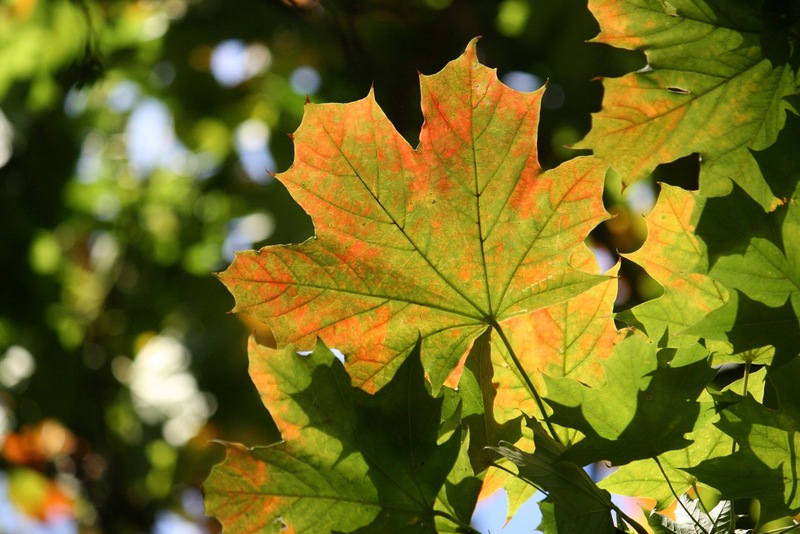 It's over 350 acres of parkland in the heart of London and this is the perfect time of year to visit as you can take a stroll and watch Autumn in all it's technicolour glory. Apparently the Autumn leaves are supposed to be particularly spectacular this year due to lots of early rain, late sunshine and something to do with sugar levels...that's about as scientific as my explanation gets. The leaves are just starting to turn, so combined with a visit to Kensington Palace and afternoon tea...I have to conclude a lovely day out!